A sparkly green beryl polished tumbled gemstone for your rock collection. Aquamarine is the greenish-blue to blue variety of beryl, and these beauties range from light green to pale blue. If they were the darker green form of beryl they would be considered emeralds. It’s Latin meaning is “water of the sea”. Aquamarine was said to be treasured by mermaids and that it would bring protection to sailors, while also being a crystal to bring about eternal youth and happiness. Aquamarine is used by those traveling on the water as a stone of protection & safety. Aquamarine is know as the stone of mermaids. 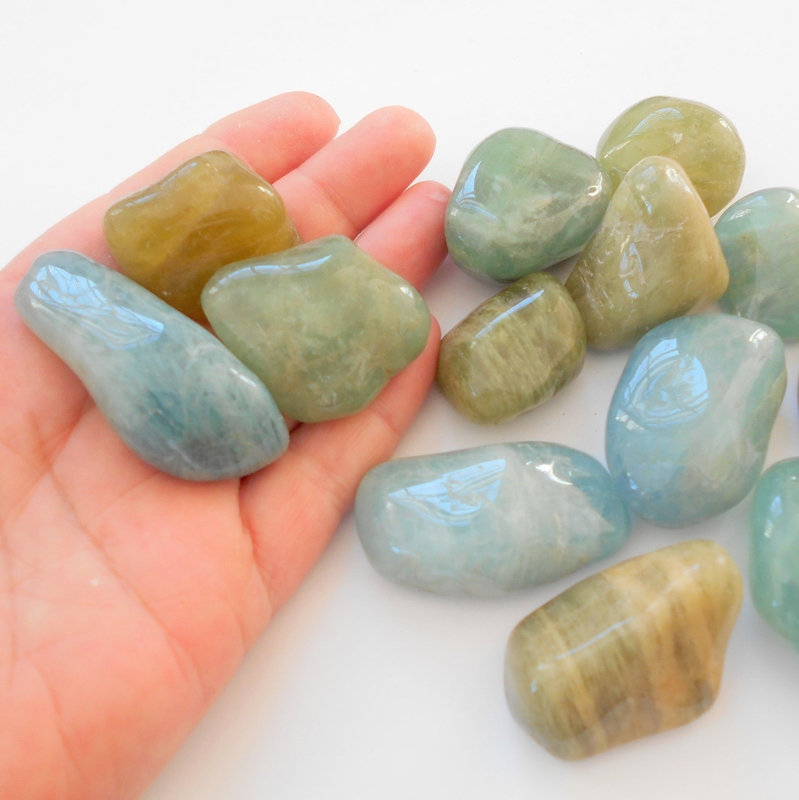 Aquamarine is a water element gemstone useful for cooling, soothing, and improving communication. 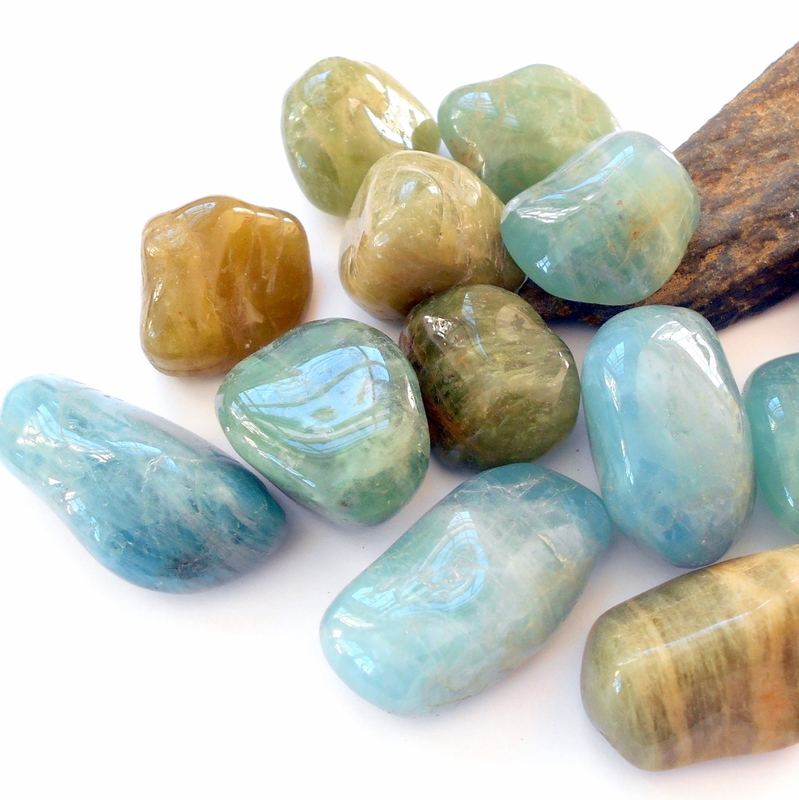 Aquamarine enhances courage, clarity, and intuition. 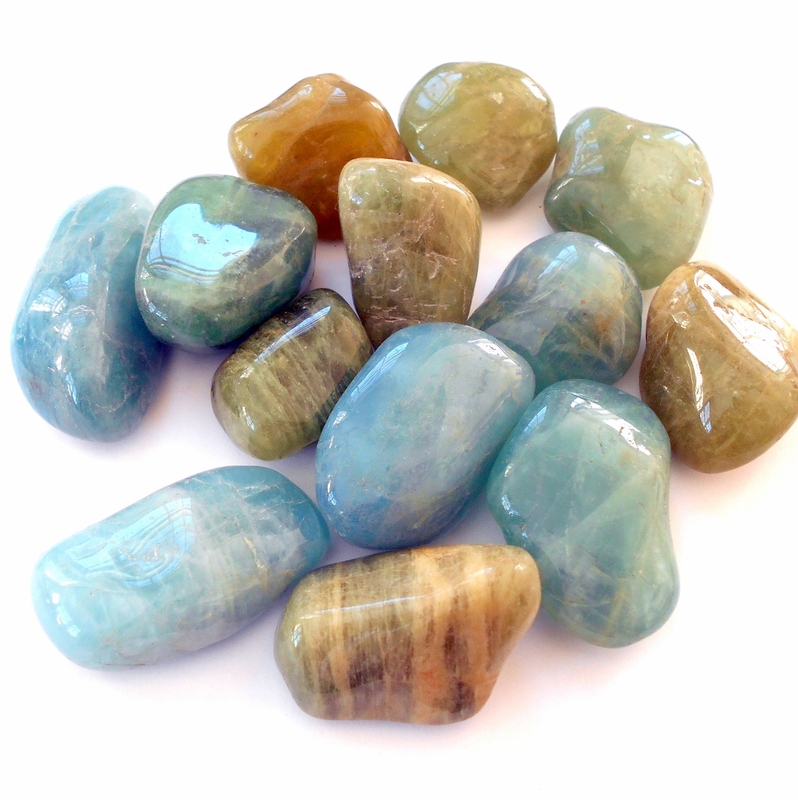 Physically, aquamarine is useful for combating hot flashes, throat problems, and inflammation. Aquamarine is the March birthstone. Green beryl gemstones range in size from about 1 1/4 inch to 2 inches. Price is for one stone. These stones were mined in Angola.